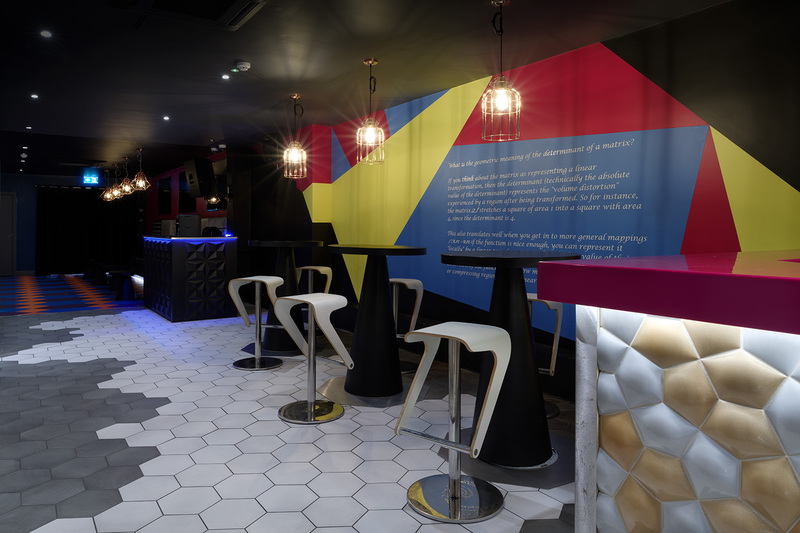 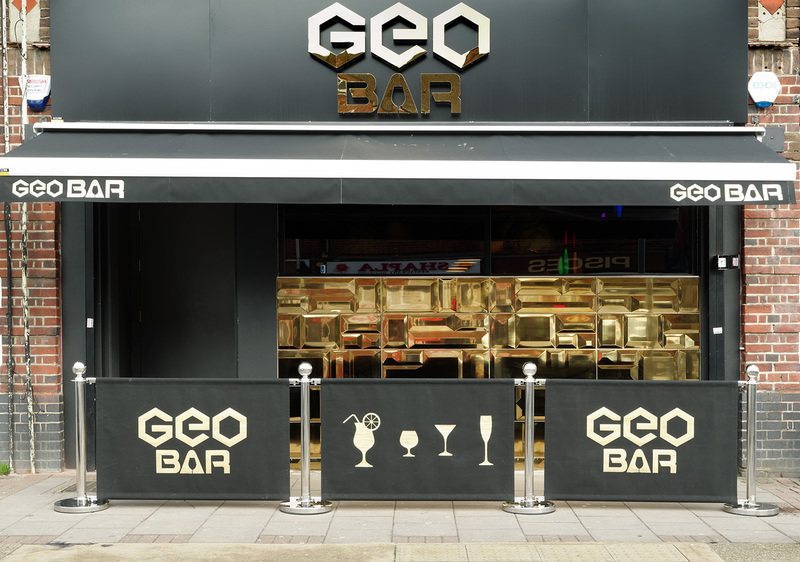 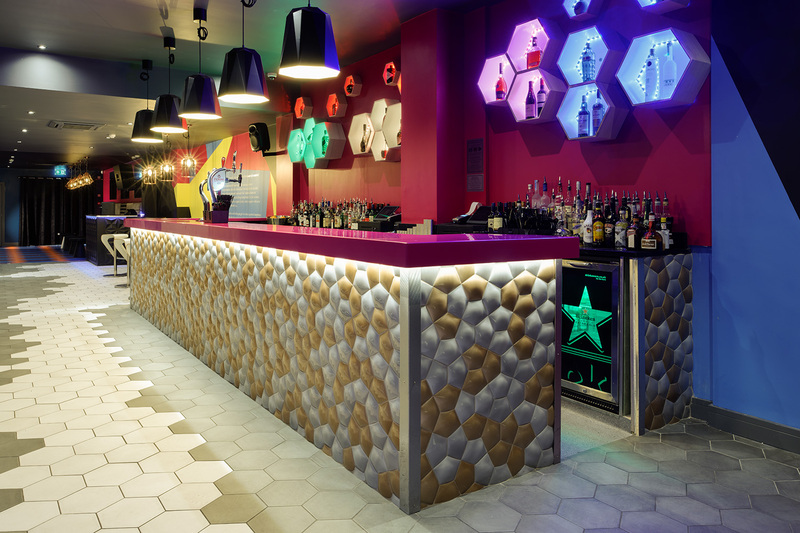 Astounding designed the full concept of this bar, from the branding to the finished interior. 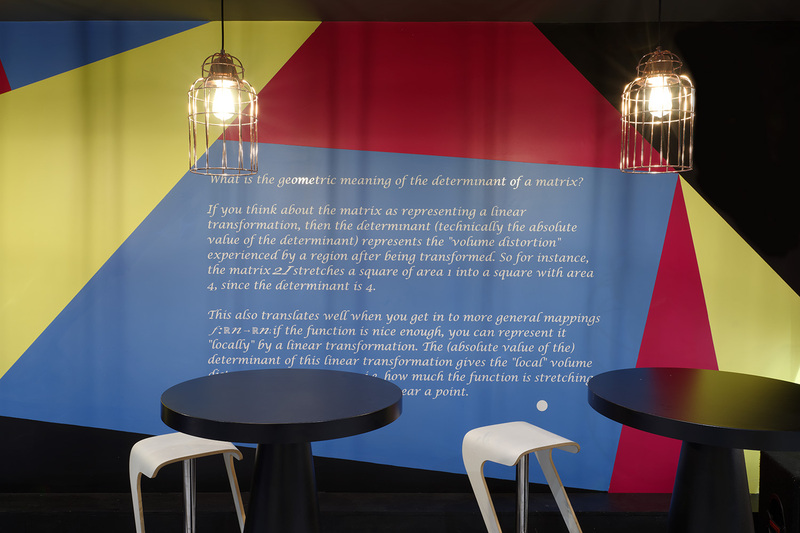 The concept we used in this design and branding was the escape from reality. 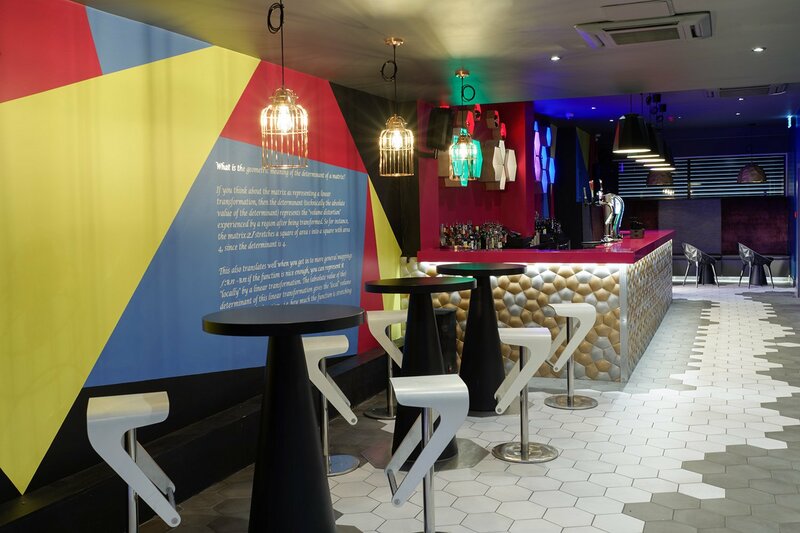 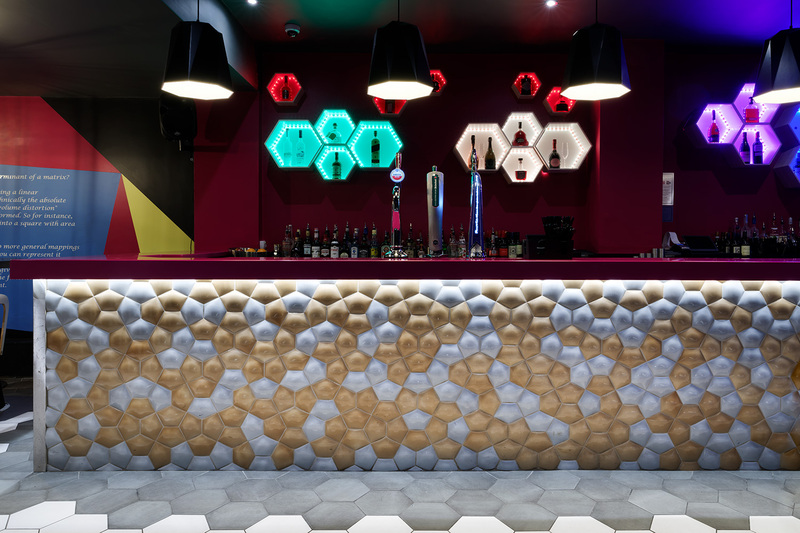 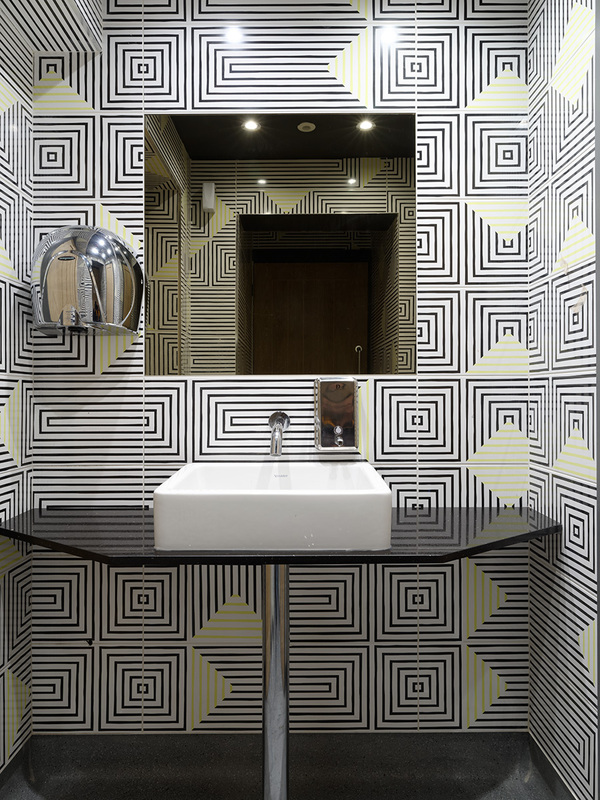 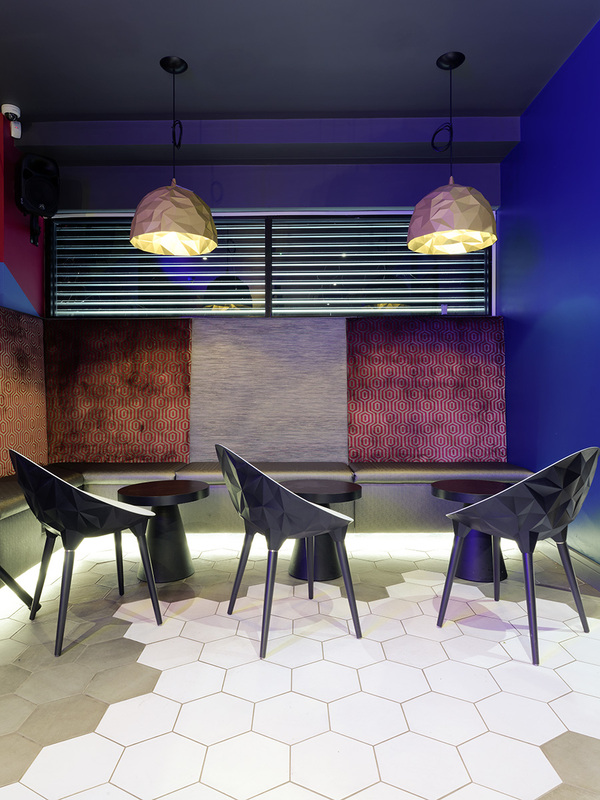 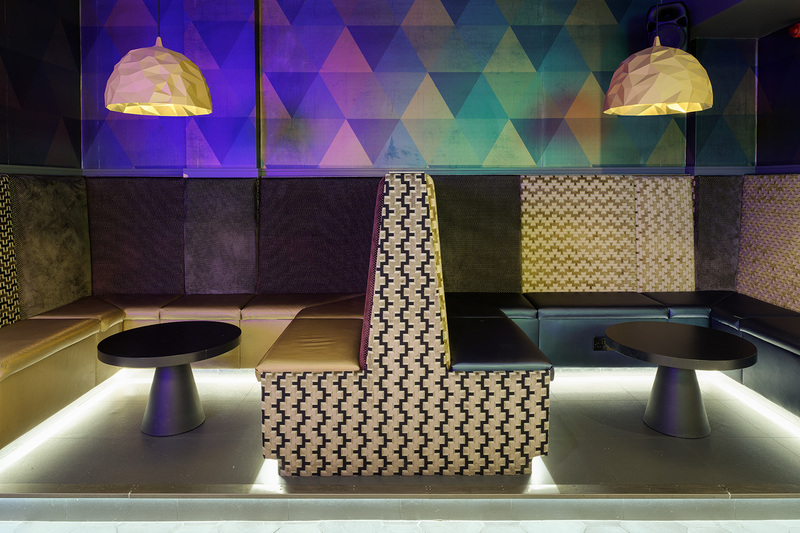 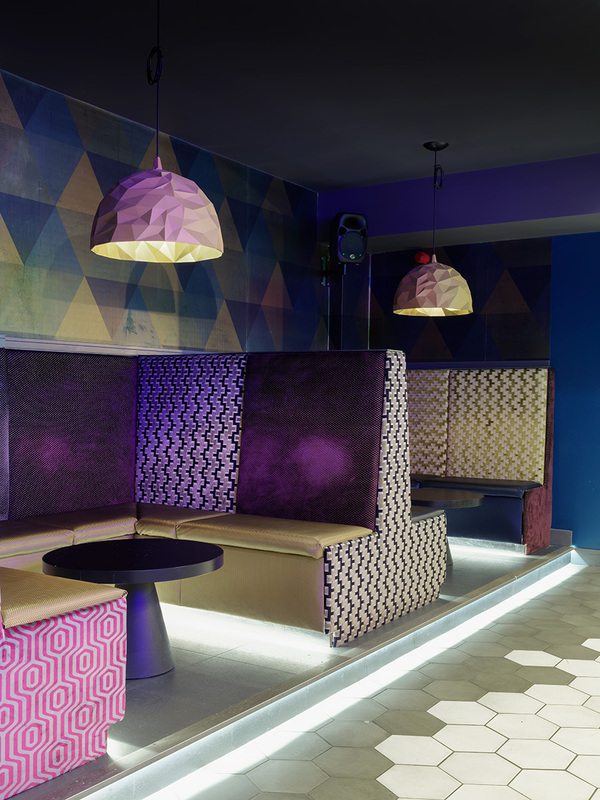 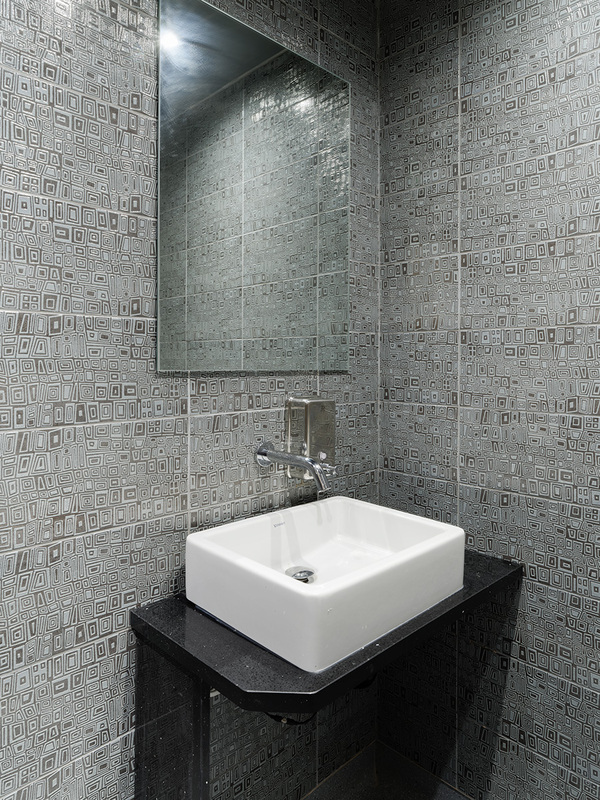 Achieved by creating a bar that plays on all of your senses, everything in this design is geometric. 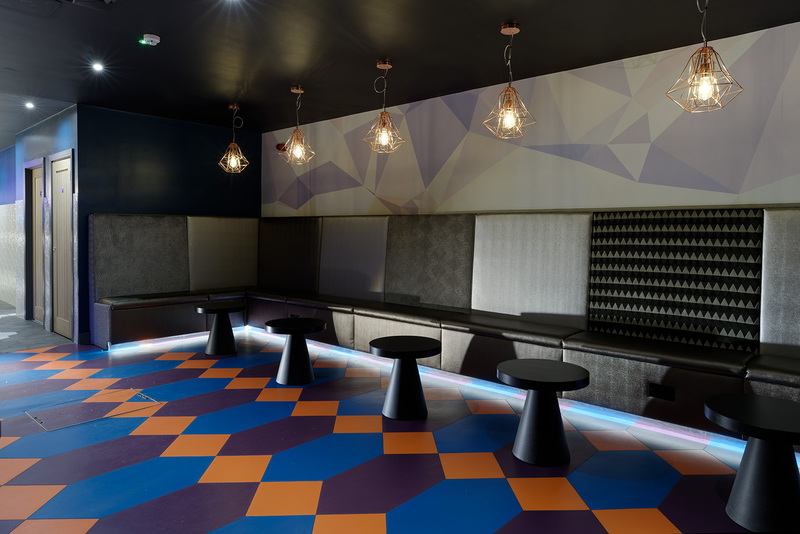 Like an optical illusion, this vibrant, lively interior combines a variety of contrasting colours, finishes, materials and designs, by harmonising them into a beautiful kaleidoscope of energy. 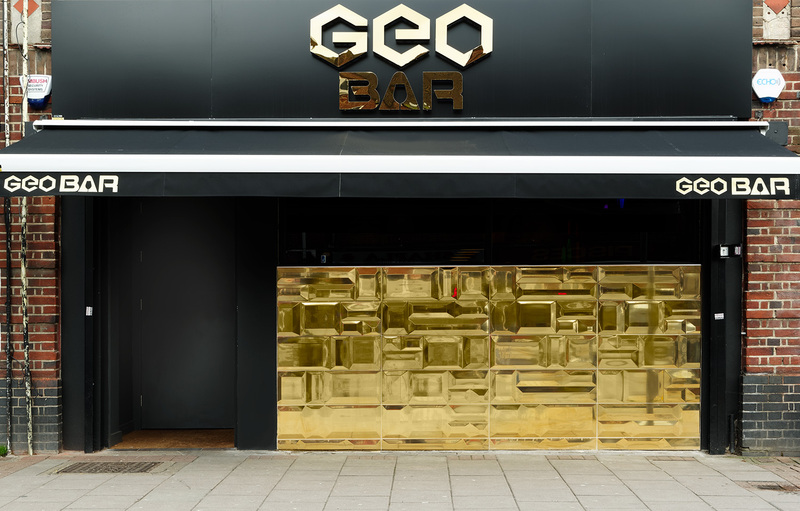 This bar design is far from being inconspicuous.